Casey Trees Helps Tree Up Park View | Park View, D.C.
New Casey tree at the corner of Warder and Quebec Place. 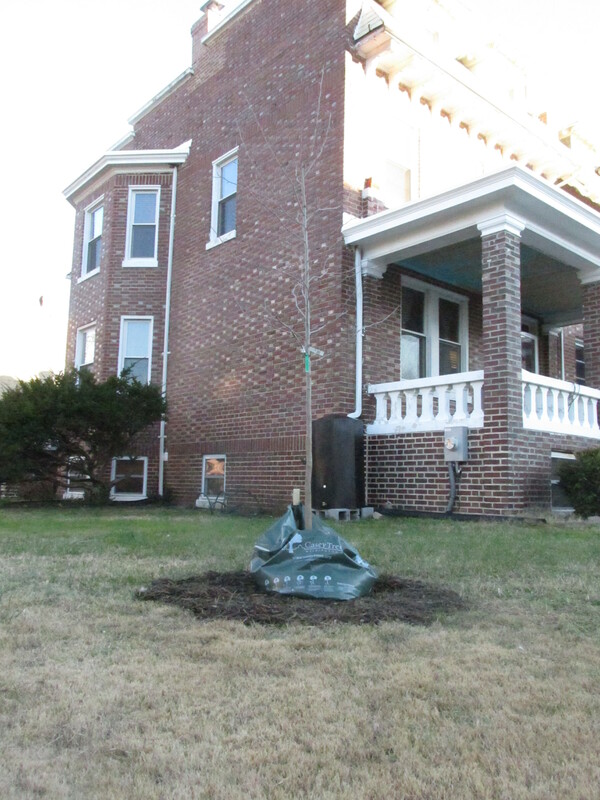 While walking through the northern part of the neighborhood delivering newsletters last weekend, I was extremely happy to see four new trees planted in yards from Casey Trees. I’ve been working hard over the past few years to tree up the neighborhood by making sure that empty tree boxes have new trees. But, the Casey Trees are a real treat as these are planted at the request of homeowners and are not on public land. Seeing four new private trees is big. I know that not all houses have yards large enough for a tree, but if you happen to have a larger yard and want a tree, the Casey Trees’ Tree Rebate Program could be an option that would assist paying for and planting the tree (more details here). 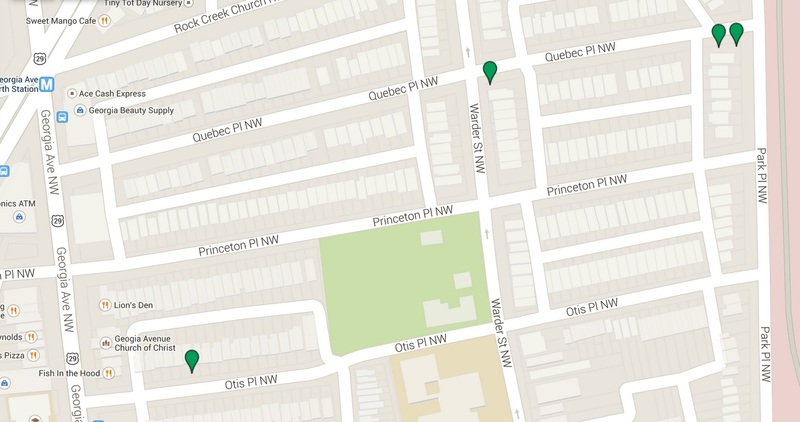 The new trees are located on the 700 block of Otis Place, the southeast corner of Quebec and Warder, and the southwest corner of Quebec and Park Place (see map below). This entry was posted on December 10, 2014 at 7:01 am and is filed under Streets and Trees. You can subscribe via RSS 2.0 feed to this post's comments. Great addition the neighborhood; this organization is great! We got three trees from Casey trees a few years ago. I requested a dogwood which they don’t normally do since they are so slow growing but because we also requested two other shade trees they let us get that as well. I think we paid $50/per tree and that included labor. Its definitely worth contacting them and letting them assess your space for a tree. Awesome group.